HE’S BACK (by demand) and with an all new show! 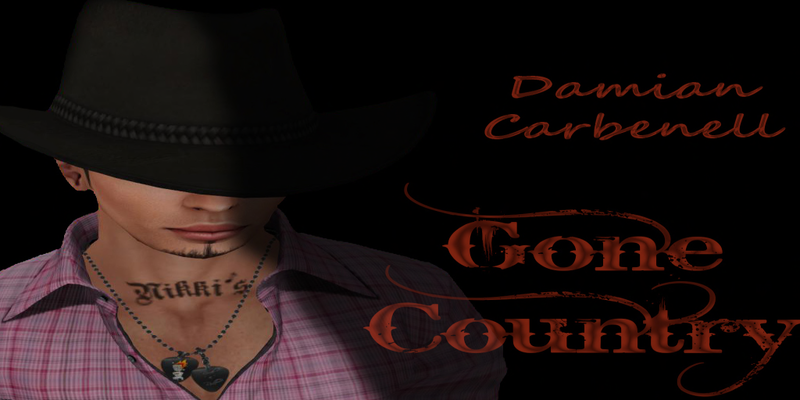 After a long break from SL to focus on his work in first life, DAMIAN CARBENELL is back! Upon returning to SL stages, he brought a new sound back, too. Mostly country – full back tracks and he will occasionally bring out his guitar or get on the piano and share some acoustic songs with us, too. Damian is a wonderful singer and his shows are FUN! He’s warm and personable when he takes that stage. .
A vocalist, songwriter, pianist and guitarist, Damian streams in from the center of the USA. He is a talented, confident and versatile performer, full of energy. He sings with tuneful enthusiasm, conviction and style. His talent and warm personality has graced many stages in SL for years and he is now back to play limited shows, when he is available, and at select venues. Please contact Nikki Mathieson for fee information and booking availability. Join the group the CARBENELL STREET TEAM or tp to the Avi Choice office to join his scribo! … “Who Is Damian Carbenell? …. “Damian has got chops both vocally and on his guitar. He plays these wonderful rock songs that we love so dearly without us ever having to worry about him killing them at all, not at all worried, not even for a second! Awesome!